Underscoring the benefits of green energy, Prime Minister Narendra Modi on Sunday enlisted the ways on how the newly launched 'Gobar Dhan Yojana' can be beneficial to people in rural India. In his 41st edition of the Mann Ki Baat programme, Prime Minister Modi stressed on the dual benefits of the scheme- cleanliness and revenue generation for rural India. "This time, in the budget, emphasis was laid on 'Waste to Wealth' and 'Waste to Energy' through biogas for villages under Swachh Bharat. Initiative named 'GOBAR-Dhan'- Galvanizing Organic Bio-Agro Resources has been rolled out. The purpose of 'GOBAR-Dhan' is to ensure cleanliness in the villages by converting animal dung and garbage into compost. This will not only generate revenue but also clean energy," Prime Minister Modi said. He urged farmers of rural India to "see animal dung and garbage not just as waste, but as a source of income" and added that through the scheme, "animal health will improve and productivity will increase, biogas will increase self-reliance in energy for cooking and lighting. This will also add to the income of farmers and cattle owners." 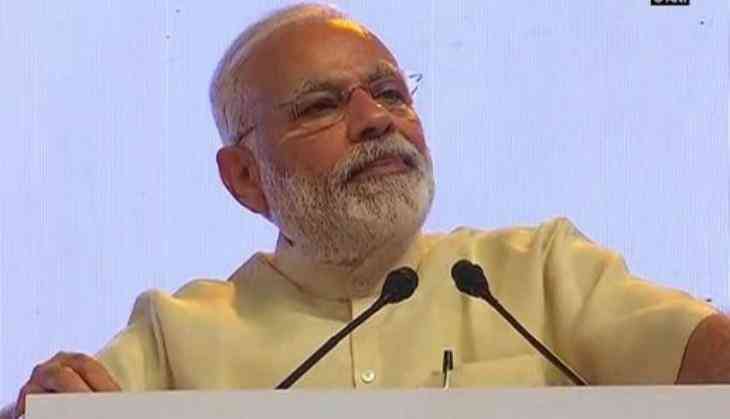 To ensure the benefits are accrued, the Prime Minister also announced setting up of an online trading platform for 'Gobar Dhan Yojana' that will connect farmers to the buyers so that farmers get the right price for animal dung and agricultural waste. Prime Minister Modi further said, "I urge entrepreneurs, especially the sisters living in rural India to come forward. By making self help groups, by creating cooperative societies, take full advantage of this opportunity. Become a participant in this movement of Clean Energy and Green jobs." In his radio address, Prime Minister Modi also appreciated the state of Chhattisgarh for celebrating its first 'Trash Mahotsav', a festival aimed "to utilise waste creatively and to spread awareness about various ways of re-using garbage."